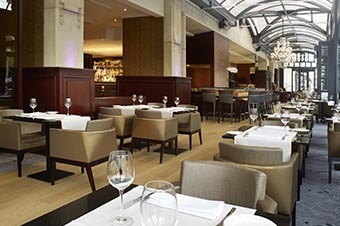 Savour French-Belgian cuisine from a menu full of mouth-watering delicacies. Exquisite culinary experience in Antwerps Historic Center. 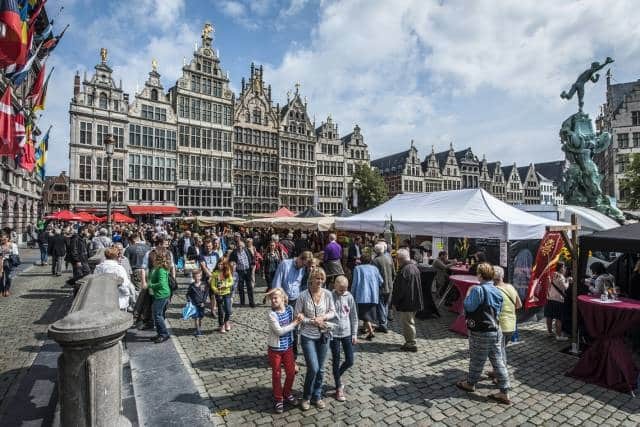 Antwerp has always been a ‘market town’ with a tradition of open markets. In his authentic brown café the finalist of the Belgian Draught Masters Championship Bart Peeters can indulge his passion. HISTORIC CENTER The historic centre has an exceptional concentration of art and culture on a few square feet. 't EILANDJE Enjoy a trendy atmosphere in Antwerps fastest-growing neighbourhood. 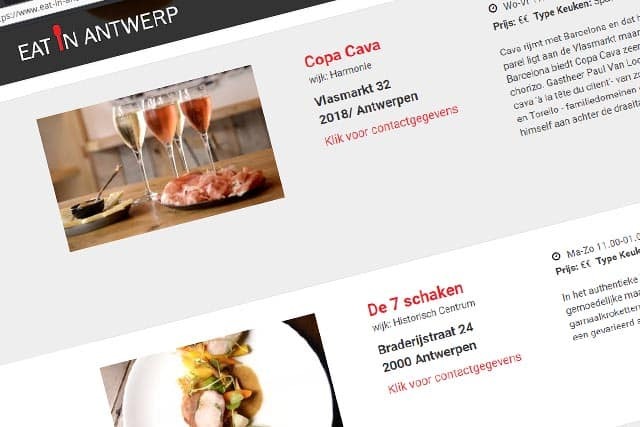 ZUID The many trendy restaurants make Antwerp South a culinary attraction. 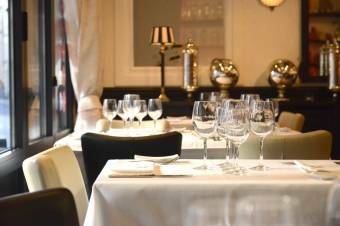 Bistro, Brasserie, Brunch, Cava, Comedy club, Diner, Family, Gourmet, Grill, Haute cuisine, Hotel, Coffeeshop, Breakfast, Restaurant, Seasonal dishes, Snacks, Tapasbar, Tavern, Wine bar, Wine restaurant. Asian, French, Greek, Irish, Italian, Moroccan, Scandinavian, Spanish, Flemish, World cuisine. Burgers, Chocolate, Coq au vin, Croquettes, Côte à l’os, Eel, Escargots, Fish, Flemish classics, Flemish dishes, Flemish specialties, Greek cuisine, Italian classics, Italian traditional dishes, Lobster, Meat, Noodle soup, Oysters, Pasta, Pie, Pralines, Salads, Sea food, Seafood, Seasonal dishes, Snacks, Steak, Steak tartaar, Steak tartare, Tapas, Thai curry, Tomatte crevette, Traditional italian cuisine, Truffles, Vegetarian, Wok.